We are close Monday April 22. If you do place an order on-line for April 22, it will be delivered April 23. Espace vert fleuriste has been offering exceptional service for 14 years now, always with a remarkable selection of fresh flowers, plants and gift items. 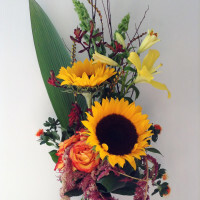 Let our experienced, creative and talented florists create the perfect bouquet or arrangement for you! All photos that are in our online store are used for suggestive purposes. They serve as an inspiration and as a guide. In each category, you have the choice of style, color and budget. Since floristry is an art, the florist will then create for you (according to your requests and our floral availability) the bouquet or arrangement desired. You are currently in our online shop. If you would like to view more of our creations, or if you need further information on plant care or on a specific flower, we invite you to visit our website by selecting one of the following categories. Let our florists select the flowers for you, our.. 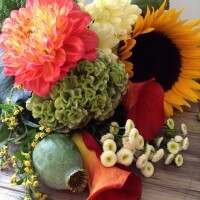 This bouquet allows you to see the beauty of eac.. 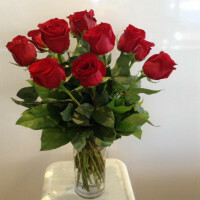 It's a classic, beautiful of all sides and it fi..
A Bouquet of roses is timeless! Choose the color..
You are currently in our online store, to visit our website click here.